All Photo's courtesy of Michael the owner. 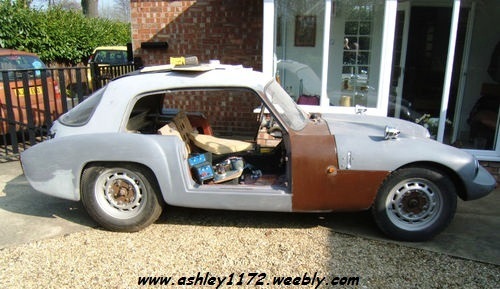 modern s/box [Datsun], Triumph re-cored rad and new electric fan. 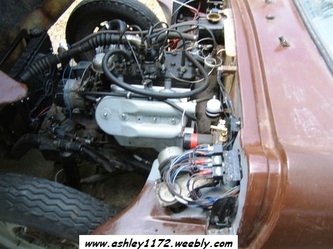 Engine is 100E unit tubular exhaust 4/2 then 2/1 with twin SU's [midget] and midget air box. New midget tank and rebuilt SU pump. Other bits and pieces from Triumph and M G parts bin. Brakes are 100E, adapter plates take 4 studs to 5 to use 16 inch Ford wheels, Prefect on front with 5.5 tyres and E83W [wider] 6.00 on rear these are new. All wiring completed, relays on main and dip plus horns and engine fan hazards and side repeaters added for safety. 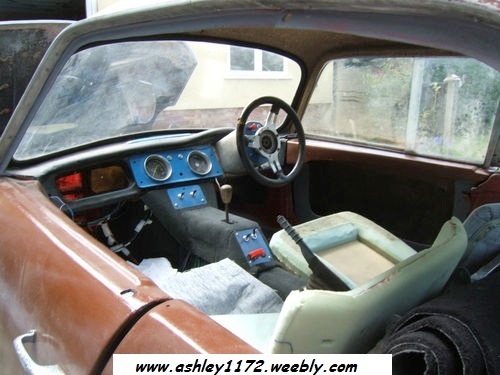 Bodyshell has steel box space frame which provides support and fixing, incorporates seat belt pick up points, light roll over bar built in. Additional bits already collected will be included. I am selling separately some other bits and bobs, engine spares and Ford Special books that I have collected over the last 20 or so years. I have had Ashley many years now and re jigged it on to my Popular when I re chassied that into a hot rod. 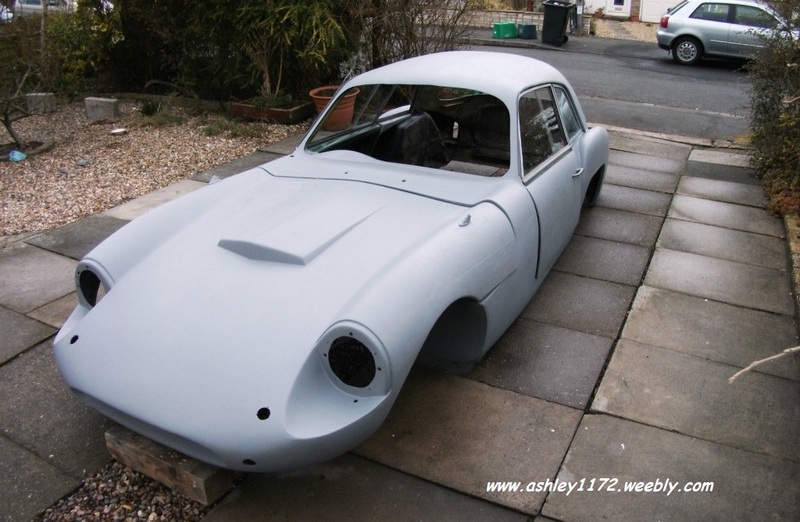 Various other projects, rebuilding a Midget and a MGB plus several houses have taken a toll on the years, I was getting on quite well and expected to finish next year, never in much of a hurry filling in my retirement when the move now in process became a reality. 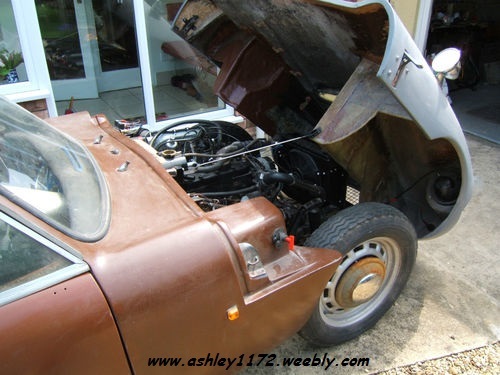 Our MGB roadster is running and can move under its own steam. 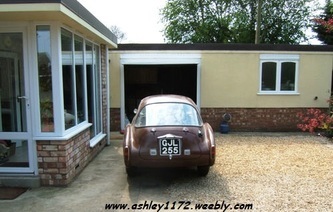 As we have not yet bought another house, and anyway would be unlikely to get one with garaging to match that I have now the Ashley needs to go to a new home. 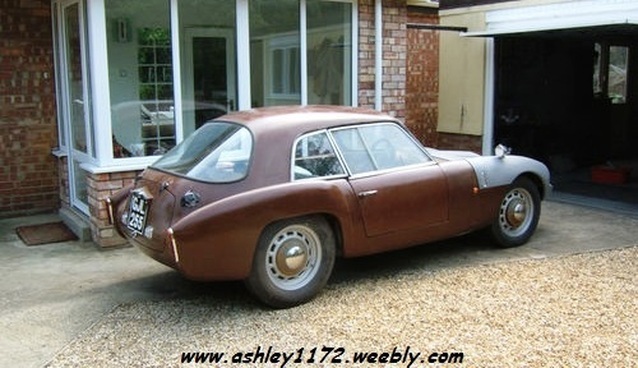 I was once a member of both Fairthorpe SCC and 1172 FSOC and I had intended rejoining FSOC when I had got the Ashley back on road. I will certainly pass on your details to any new owner, funny but the other shell on eBay is in Liverpool and the Falcon which is making so much more, was one I was told about 10 years ago. I think open cars are much more desirable, the red Barra﻿ccetta styl﻿e in It﻿al﻿y is so pretty. I would have liked an open one myself and did think of cutting the roof off, but restrained myself to save the loss of another GT, may be a poor financial move. If you need any further info you know where I am. 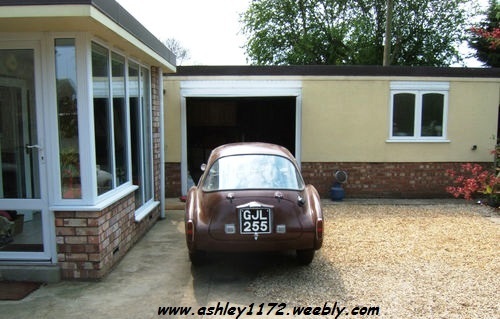 A look at the old eBay advert shows that the Reserve was not reached in May, was it sold later or taken to the new house, I don't know but will try and find out so the story can be continued. but have found further info on the new Ashley 1172 owner. Sorry for delay, we have moved from our old house and our living on small narrow-boat until we can move to new house in 3 weeks. 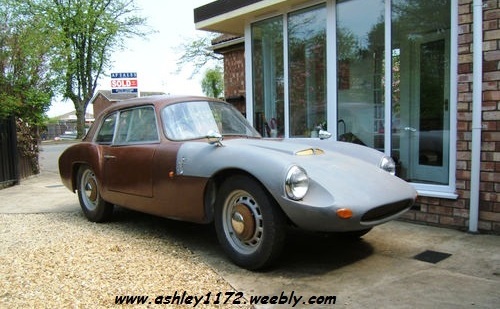 The guy who bought Ashley also got an old bodyshell as well, his name is Philip, he lives around Stoke on Trent, I gave him all my Ford Special books, etc. as he seemed unsure of what history he had bought into. I just hope he will complete it ok, will look on your site, have done in past, when pain has passed a bit more. 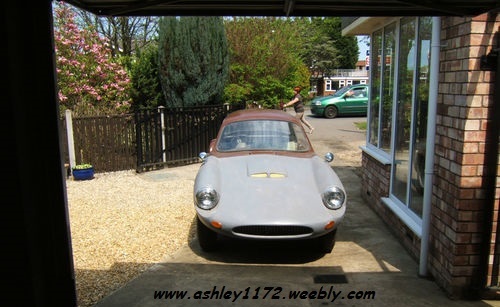 Hopefully by now he is all settled into the new house and enjoying drives in the countryside around the Liverpool area in his MGB roadster. 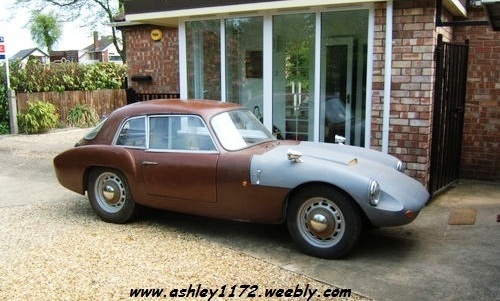 Mike had given me Philips email address so I emailed him to ask for news of the car and the old bodyshell. however when he replied he was able to supply heaps of info. Phil seems to have a flair for collecting cars and other vehicles, sounds a familiar addiction, and the two Ashley's were his latest additions. and Phil had a lot more photo's and history about it's origins and past. I must check back with Phil to see if there has been any developments.